5pm-8pmFreeOne child 12 & under per paying adult. All Day$7.99Must be 65 years or older. Cannot be combined with other offers. Lunch: $9.15Dinner/Weekend: $10.15Must show military ID. Cannot be combined with other offers. 2 PM - 4 PM$6.99Must be 65 years or older. Cannot be combined with other offers. Let the legendary dining experience begin! We’re serving up your favorite Ranch Specialty pizzas, the Country’s Best Chicken®, fresh salads, nutritious sides, and sweet desserts—all on our buffet. Find casual dining, flavor-filled favorites, and a taste of the Old West that your whole family will love! We offer online ordering, delivery, catering, and a community room that seats 75—perfect for your next party or get-together! Across the river and just off Highway 59, we’re only a short drive from Crawford County Speedway and Denison high school. Talk to us about fundraising for local causes with our Community Impact events. Chicken was excellent, as always! ❤️❤️❤️ Your blueberry dessert pizza. Gal at front desk could use more training. Food is always great and the help is always friendly. Having worked in food service 30+ years, I know when someone is filling a broaster basket with chicken before putting it in the oil as the chicken sticks together and the breading comes off on other pieces as it does here. Bad that they quit doing soups in the winter. Having arthritis and neuropathy, the practice of using packets of all sauces here is literally a pain. I, as well as other seniors, can't open these to use for condiments. Other locations use squirt bottles or put some on the salad bar. I came to enjoy the Pollack but was disappointed in the packets of tartar sauce. My personal pizza choice was good. Love the stuffed crust. Ron S, thank you so much for sharing! We have eaten at many Pizza Ranches in various states. Our favorite by far is the one in Denison, Iowa. They are always consistent: welcoming, courteous,hard working and the food is excellent. If they had milk to drink and hot fudge for the Ice cream they would be just about perfect. Nadine D, thank you so much for sharing! We do have milk!! Just ask the next time you visit😊 We hope to serve you again soon! So glad I stopped in and had a leisurely buffet before 5pm. Crowds were down. Food selection was great. John T, this doesn't sound legendary. 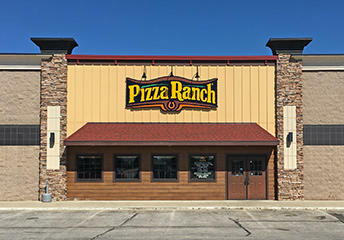 At Pizza Ranch, we work hard to provide exceptional service and delicious food for our guests. Please call the restaurant to speak with a manager so we can help! carry out service could be better. waited 25 minutes for chicken that was suppose to take 15 minutes. need someone to take care of this as the checker was vey busy non-stop. chicken was very good! Thank you for your feedback, Linda D. Pizza Ranch values our loyal guests and it’s our goal to provide legendary service. We always appreciate feedback and will share this with our team. The last few times we have eaten there I have been very disappointed in the amount of food on the buffet. 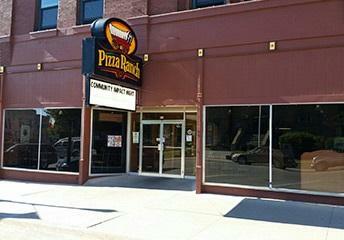 The other pizza places never have selection on the buffet, that is why we would pay the higher price for pizza ranch. Now the same thing is happening there. It’s disappointing to leave hungry after paying 11 dollars person. Cory S., this doesn't sound legendary. 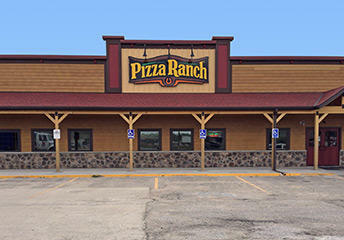 At Pizza Ranch, we work hard to provide exceptional service and delicious food for our guests. We always appreciate feedback and will share this with our team. great service friendly employees ! Very impressed -- great food, clean establishment, they made pizzas on request for us, and VERY reasonable prices! People were all friendly. Food was all fresh and very good. I thought the service was great. They kept our used plates picked up. The pizza bar was always full of a variety of pizzas and the chicken basket was always full and hot.